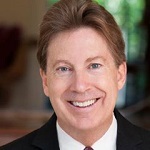 My guest this week was Christian Wilde an author/researcher who has appeared as a favorite guest on hundreds of radio shows and has been a medical ‘go to’ commentator over 106 times on George Noory’s number 1 international radio show airing to millions of nightly listeners in the US and Canada, Armed Forces Radio, Sirius and computers worldwide. as 95 other nationally syndicated radio shows. He has authored two landmark books, Hidden Causes of Heart Attack and Stroke and Miracle Stem Cell heart Repair. He also authors the Christian Wilde Stem Cell and Turmeric Research Report covering more than 87 catastrophic diseases. 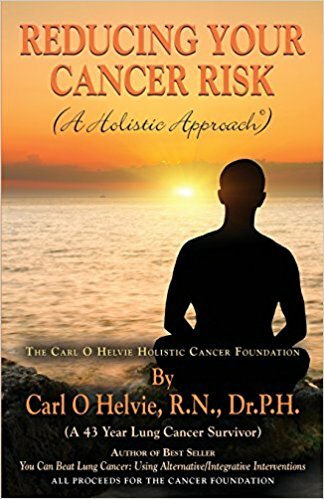 The author’s work has been supported by the Directors of stem cell research, cardiovascular disease and regenerative medicine at 11 major universities, including Columbia, University of Utah, Minnesota and UCSD. He has been a voice for adult stem cell research, documenting the progress since 2002. Before his endeavors into the medical arena, Christian was an independent song writer and record producer for Warner Bros. Columbia, Capitol/EMI, United Artists and MCA/UNI records. His current 14 song CD as a singer/songwriter is Journey On Hold. A new study published in the European Heart Journal concluded that survivors of childhood cancer are at increased risk of suffering prematurely from cardiovascular disease in adulthood. In the study survivors of childhood cancer were followed into adulthood and compared with a non cancer sample from the general population,. The study population as adults were at higher risk of high blood pressure and dyslipidaemia (unusually high levels of cholesterol and other fats in the blood) These conditions appeared 6 and 8 years earlier than in the general population controls. In addition, the childhood survivors had a nearly two fold increase risk of cardiovascular diseases such as congestive heart failure, and venous thromboembolism. Cardiovascular disease was found in 4.5% of survivors and occurred in the majority before the age of 40 and nearly eight years earlier than the general population control. Between October 2013 and February, 2016, a total of 951 adult long term survivors of childhood cancer underwent a clinical exam that included assessing factors that might put them at higher risk of cardiovascular disease, such as high blood pressure, and dyslipidaemia. Their medical history such as whether or not they smoked and whether there were family members with a history of cardiovascular disease was examined. The survivors ages range from 23 to 48 at follow up and the general population control numbered 15,000. Researchers concluded “Our results show that these survivors of childhood cancer have a substantially elevated burden of prematurely occurring traditional cardiovascular risk factors and cardiovascular disease.” Many of the survivors were unaware of their cardiovascular risk prior to the study. The most common cardiovascular risk factors identified were high blood pressure and dyslipidaemia that involved 23% and 28% respectively whereas diabetes was only found in 2%. These conditions also occurred earlier than in the general population control. At least one cardiovascular disease was found in 4.5% of the survivors and tthe most common was that affected 2%. venous thromboembolism. In addition, 1.2% had congestive heart failure, 0.5% had stroke or peripheral artery disease,, and 0.4% had atrial fibrillation. Researchers said treatment of childhood cancer include chemotherapy and radiation can affect the heart causing temporary or permanent damage to heart cells and blood vessels. Further research is planned. Dr William Bengston cures Cancer in Mice with Energy Healing. Dr William F. Bengston is a professor of statistics and research methods, and the President of the Society for Scientific Exploration, an international group of scientists and researchers who study anomalies. Dr. Bengston has been researching anomalous healing for over thirty five years, and has numerous publications in scientific journals. He has also lectured widely in the U.S., Canada, and Europe. His memoir, The Energy Cure, is published by Sounds True. 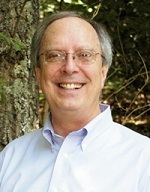 Bill’s research has produced the first successful full cures of transplanted mammary cancer and methylcholanthrene induced sarcomas in mice by energy healing techniques that he helped to develop. He has also investigated assorted correlates to healing such as EEG and fMRI entrainment, and geomagnetic micropulsation anomalies in healing space. His current research focuses on the attempt to record and store healing in both biological and physical systems, and to be able to reproduce the healing effect without the healer. 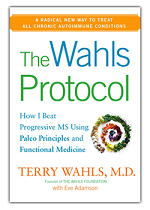 You can learn more about her work from her website, www.terrywahls.com. She conducts clinical trials that test the effect of nutrition and lifestyle interventions to treat MS and other progressive health problems. 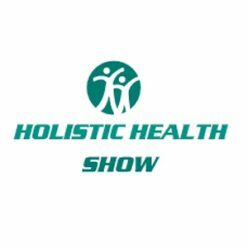 She also teaches the public and medical community about the healing power of the Paleo diet and therapeutic lifestyle changes that restore health and vitality to our citizens. She hosts a Wahls Protocol Seminar every August where anyone can learn how to implement the Protocol with ease and success. Follow her on Facebook (Terry Wahls MD) and on Twitter at @TerryWahls. Learn more about her MS clinical trials by reaching out to her team MSDietStudy@healthcare.uiowa.edu. Two studies in Bastyr University that are asking patients with MS or Parkinson’s disease about whether they are following the Wahls diet. Chemo brain or chemo fog are the memory and thinking problems experienced by cancer survivors are not just the result of chemotherapy but may start as the tumor forms and develops before chemo was used according to a new study published in the journal Neuroscience. Researchers found that female mice with a form of breast cancer demonstrat4ed impaired performance on learning and memory tests before chemotherapy drugs were used., They said “Our work isolated that the cancer is responsible for some of the memory and thinking complaints experienced by cancer survivors, and that drug therapy adds to the problem.” “Both factors independently effect brain function in different ways, which can lead to the development of other psychological disturbances, such as anxiety and depression.” Researchers said as many as 65on. taking longer to complete tasks, and difficulty multitasking. Progression of tumor and later chemotherapy lead researchers to the identification of three different brain changes. 1)The combination of tumor growth and chemotherapy led to shrinkage of . While the tumor is developing, the body’s immune system releases cytokines to inhibit the cancer development. Researchers found this reaction caused in the brains nervous system impairing its function. 2) Chemotherapy limited the production of new brain cells in the regions responsible for memory function which lead to a loss of memory. 3) The combination of tumor growth and chemotherapy lead to shrinkage in brain regions that are important for learning and memory. the study involved female mice, half with cancer and the other half without. Learning and memory tests were administered initially to determine the the impact of the tumor on the brain. After this mice were either given chemo or a saline solution (control). .Tests were again administered plus some additional ones. After testing was completed researchers brain images, tissue, and blood samples were used to analyze changes in brain structure and cytokinase activity mentioned earlier Before treatment mice with tumors performed less well on memory and learning tests than mice without tumors. After chemotherapy the performance of cancerous mice worsened, and the non-cancerous mice also showed sign’s of deterioration Further research is planned.. Drinking Coffee may Increase Life Span. A review of over 200 studies published in the British Medical Journal suggest that frinking three or four cups of coffee daily is linked to a lower risk of early death and getting heart disease than not drinking coffee. The researcher said drinking coffee “is more likely to to benefit health than harm it” for a range of health outcomes such as cancer, diabetes, kiver dusease and dementia. Exceptioms are women who are pregnant and those who suffer fractures. No firm conclusions can be drawn because the majority of studies were observational but back up other recent studies. Thus, they say “with the exception of pregnancy and women at risk of fractures “coffee drinking appears safew within usual patterns of consuymption” and could be tested further inrandomized studies. In the study the largest reduction in death was related to drinking 3 cups a day compared with non-coffee drinkers. Drinking moire than 3 cups daily were not associatioted with harm but were not as beneficial. Beneficial effects related to a lower risk of several cancers including prostate, endometrial, skin, and liver, as well as tyoe 2 diabete, gall stones, and gout. The greatest benefit weas seen for liver disease such as cirrhosis. 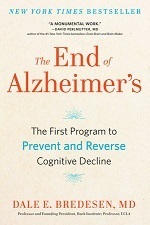 Additional benefits were seen for Parkinson disease, depression, and Altzheimers disease. Researchers recommended against starting drinking coffee for health benefits until the evidence of an association is stronger. Metastatic Prostate Cancer predicted with new Biomarker in Lab. .
Many.prostate cancers that are usually diagnosed in older men are slow growing and not considered fatal. But some become aggressive and spread beyond the prostate, making them difficult to treat and life-threatening. With current knowledge doctors are unable to determine which will be slow growing and which will spread to other sites. In this study published recently in Clinical Cancer Research report discovering a genetic signature .within prostate cancer that can predict which tumors are likely to metastasize. Using mouse prostate cancer cells in the lab, researchers found that cells containing overexposed TOP2A and EZH2 genes were highly sensitive to attack with a combination of 2 drugs. However, clinical trials are necessary to make a definitive statement. It is hoped that attacking these genes with drugs may prevent aggressive cells from p metastasizing. .
Alzheimers-Here today. Gone tomorrow. Good News. The uniform failure of recent drug trials in Alzheimer’s disease has highlighted the critical need for a more accurate understanding of the fundamental nature of Alzheimer’s disease. Dr. Bredesen’s research has led to new insight that explains the erosion of memory seen in Alzheimer’s disease, and has opened the door to a new therapeutic approach. He has found evidence that Alzheimer’s disease stems from an imbalance in nerve cell signaling: in the normal brain, specific signals foster nerve connections and memory making, while balancing signals support memory breaking, allowing irrelevant information to be forgotten. But in Alzheimer’s disease, the balance of these opposing signals is disturbed, nerve connections are suppressed, and memories are lost. This model is contrary to popular dogma that Alzheimer’s is a disease of toxicity, caused by the accumulation of sticky plaques in the brain. Bredesen believes the amyloid beta peptide, the source of the plaques, has a normal function in the brain — promoting signals that allow some of the nerve connections to lapse. Thus the increase in the peptide that occurs in Alzheimer’s disease shifts the memory-making vs. memory-breaking balance in favor of memory loss. This work has led to the identification of several new therapeutic candidates that are currently in pre-clinical trials. Dr. Bredesen’s novel insights into the fundamental nature of Alzheimer’s disease recently attracted an investment of $3.5 million toward a $10 million goal for initial clinical trials of these new therapeutics. This generous support came from the private venture capitalist Douglas Rosenberg, who is helping to fund the Alzheimer’s Drug Discovery Network, centered at the Buck Institute. The unit is screening drug candidates to find those that can preserve a healthy balance in the signaling pathways that support memory. Dr. Bredesen’s work on nerve cell signaling is also the focus of a collaboration between the Buck Institute and BioMarin Pharmaceuticals, Inc., which is seeking treatments for a rare form of Alzheimer’s disease, early onset Familial Alzheimer’s Disease (eFAD), which may develop in people as young as 30 years of age. Nutritional absorption is enhanced by a spoonful of oil on vegetables. The study included 12 college-age women who consumed salads with varying amounts of soy bean oil. Maximum absorption occurred at a little more than 2 tablespoons ( at 32 grams of fat) but there was some variation among women. The researchers recommended salad oil on salads. A new study published in the journal Sphere showed that the overall microbiota composition of the healthy elderly population was similar to that of healthy people in their 30’s and the gut microbiota differed little between individuals from the age of 30 to over 100. The study was carried out between Western University, Lawson Health Research Institute and Tianyi Health Science Institute in Zhenjiang Jiangsu, China and studied gut bacteria in a cohort of more than 1,000 Chinese people in ages ranging from 3 to over 100 years who were self selected to be extremely healthy with no known health issues or family disease. The results showed a direct correlation between health and the microbes in the intestine. Authors concluded that if you are extremely healthy and 90 years old, your gut microbiota is not that different from a healthy 30 year old in the same population. Although researchers did not know if this is a cause or effect, the study pointed out that it is the diversity of the gut microbiota that remains the same in their study. They concluded that “this demonstrates that maintaining diversity of your gut as you age is a biomarker of healthy aging, just like the low-cholesterol is a biomarker of a healthy circulatory system, ……suggest that resetting an elderly microbiota to that of a 30-year-old might help promote health.